Windlass is an apparatus for deployment, retrieval and holding of anchor and usually installed forward of the ship, but can be installed on afterward of the ship in special case. 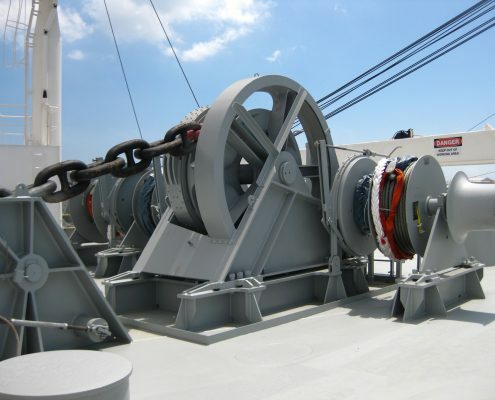 Chain pulley that winds the cable and brake are major the parts. 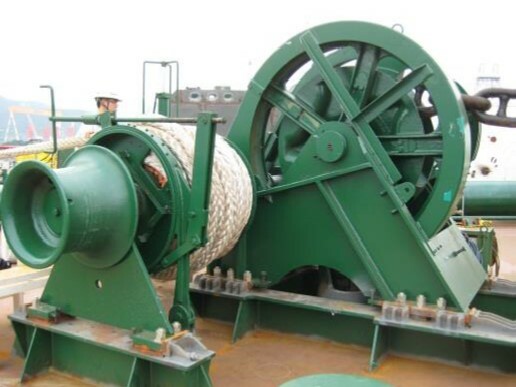 Prime mover that rotates chain pulley is classified by electric / hydraulic / pneumatic type. DMC can provide electric / hydraulic type. 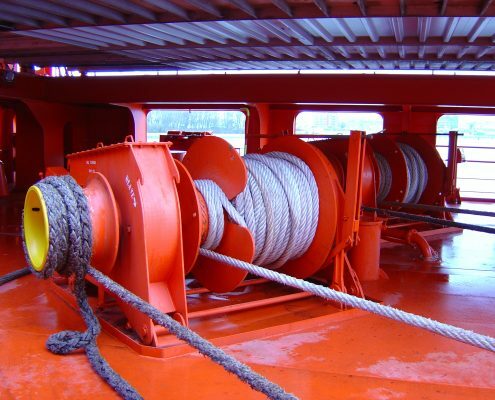 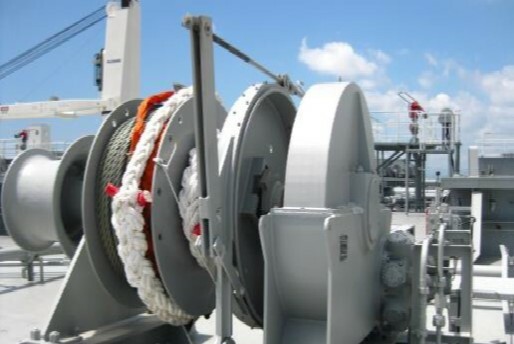 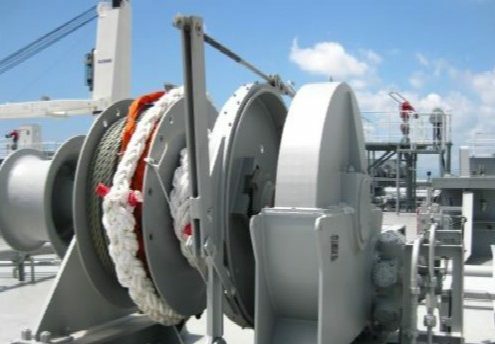 Mooring Winch secure the shipboard end of mooring lines and provide for adjustment of the mooring line length. 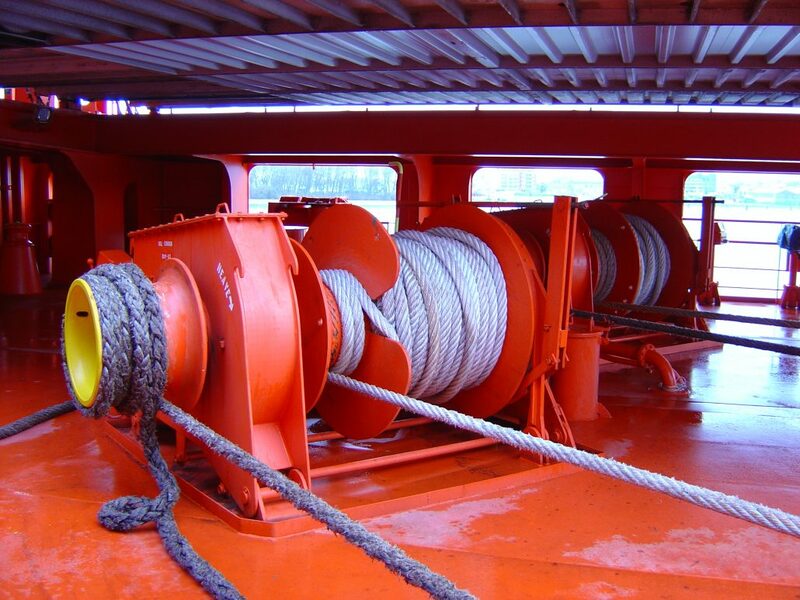 Winches can be categorized by their control type (steam, electric or hydraulic). 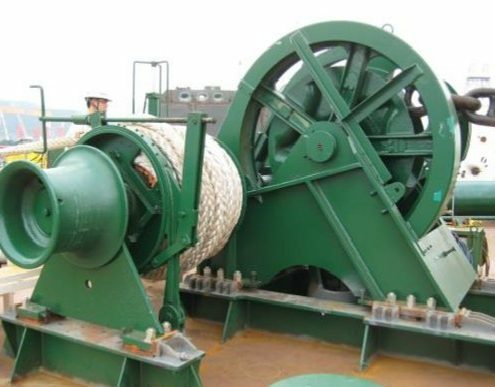 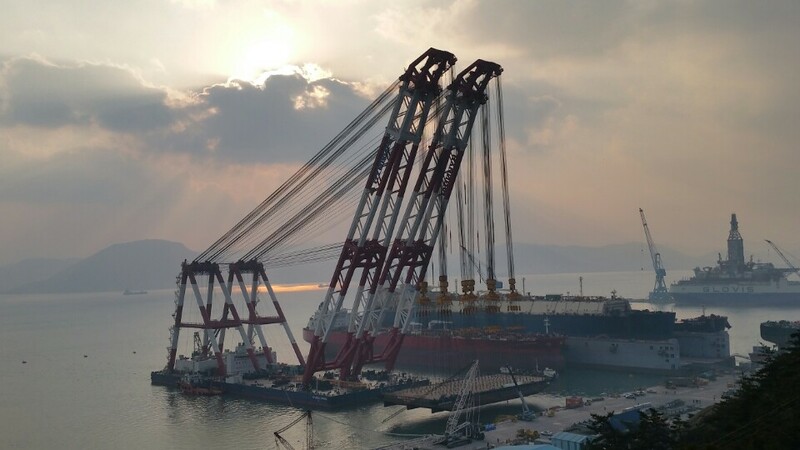 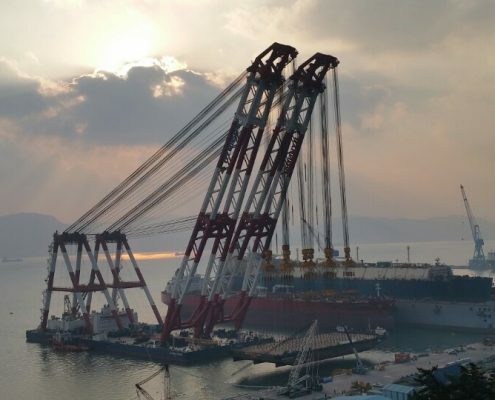 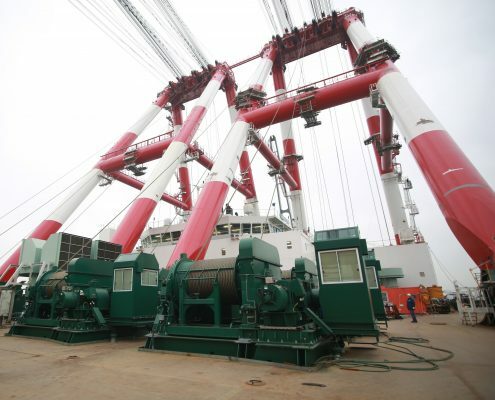 Usually mooring winches use hydraulic type.